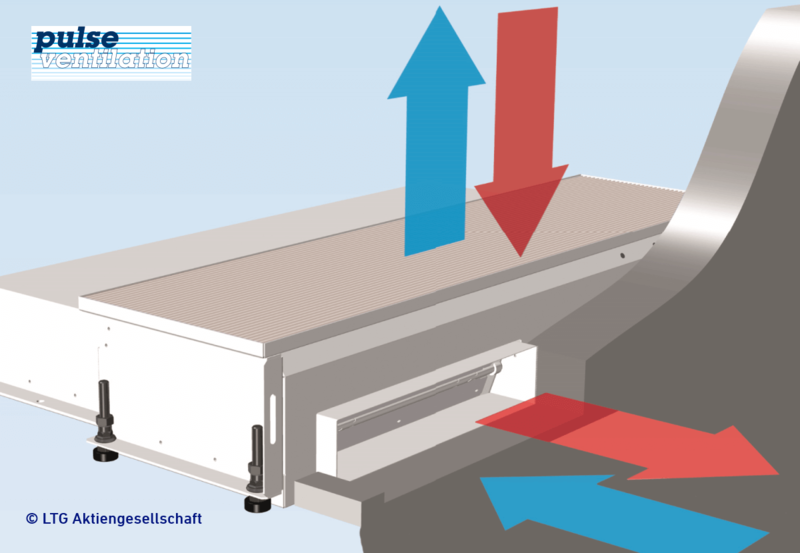 Simply natural ventilation (supply and return) with only one fan and one facade opening. Fresh outdoor air is cyclically supplied (breathing IN) and exhaust air exhaled (breathing OUT) on the same path. A valve system controls the direction of the air. Outstandingly suitable for areas requiring high standards of air quality and thermal comfort. LTG lays the foundations for perfect room climate with innovative and unique solutions. 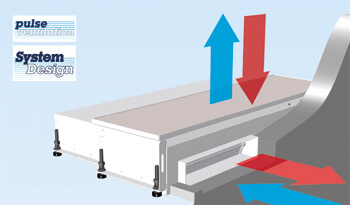 Example: The LTG SystemDesign - flexible technology for floor supply systems with a consistent appearance.